If you feel your business is not getting profits or the clients are very less, then it is the time to put your thinking cap and take the matter seriously. Have you seen roaches moving under the chairs of your employees? Have you heard your laborers saying of the existence of rodents in the storage section? Have the pantry boys complained about the flies hovering over the raw vegetables in the pantry zone? If any of the aforementioned issues are taking place in your business space, then you should plan of having a pest control service in your business property. You do not have to hunt for the pest agency, as one of the best pest control agencies is right at your fingertip. The pest control provider has been presenting high-quality pest solutions in Perth for countless years and is an expert in giving out commercial property pest control solutions to its customers at a standard price. The insect pests need an access to step in your business zone. A crack in the window pane, a large hole outside your commercial space and faulty drains passing by the office invite the unwanted pesky intruders to invade your commercial zone. 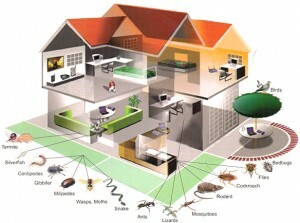 Acquire the help of the pest professionals to clog the outside access permanently. The pest inspectors will not leave a single space of your commercial property inspected. With the help of commercial pest inspection procedure, the pest officers will seal the entry points in the outside location of your commercial premise, so that the creepy insects never make their return to your commercial property. Get one-stop solution for all your pest-based hassles at the reliable pest control agency.